In unity-control-package, there are have deads link. 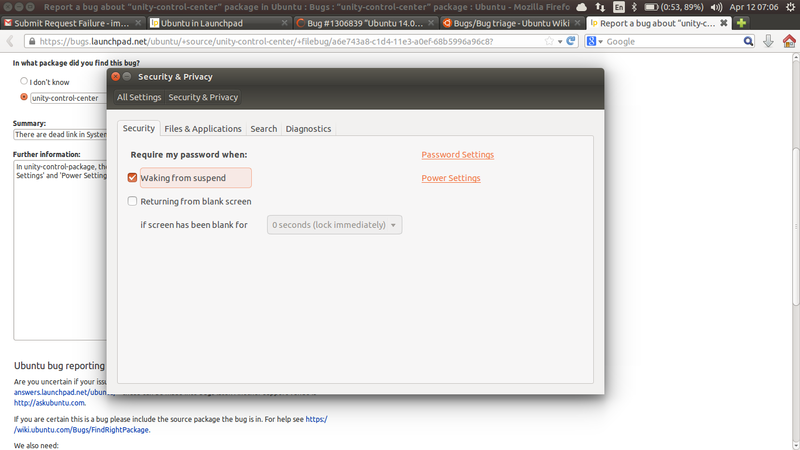 Open System Settings -> Security & Privacy, then go to Security tab. 'Password Settings' and 'Power Settings' are have dead link. Ok, so the links work only when gnome-control-center is installed.